I find Joe Carrozzo’s work to be an interesting and deep investigation into the intricacies and daily habits of our social behaviors, particularly those that occur in the privacy of our homes or in private settings. Joe’s paintings depicting ordinary people often presented in compromising settings or absurd situations of our everyday life. Painted with heavy brushstrokes and quick simplicity, these works bare to light the often hidden narratives of our culture without the falsehood of social media masquerades or facades we often wear in public settings. There is also a sense of playfulness and humor beneath the serious social commentary presented in these works. SG: Where did you go to school? JC: I went to College of St. Rose in Albany NY and received my BS in studio art. I later got my MFA from SUNY New Paltz. SG: What is the best advice you ever received? JC: Over the years I received a lot of great advice on the “art” of being an artist. But one thing that stands out for me is what my grad school professor said to an undergrad during one of our massively long crits who was struggling with her work, “you have to make the art that you can make not the art wish you could make”. At the time that statement seemed at once both blunt and obvious. But its true, beginning artists have to hold those artists they admire at a healthy distance while discovering and building their own visual language. What is unique about one’s process and studio practice holds the truth of who they are as an artist. So, the artist’s first challenge is to recognize the idiosyncrasies of their process and execution no matter how small they seem then to expand and develop these within their work. SG: What is your Instagram? SG: What is your work about? JC: Life is absurd. People seem to think and act as though they are not animals while expressing many of the same behaviors as their cousins. My work revolves around the basics; anger, happiness, frustration, and sadness. There’s usually a sense of bewilderment and dismay that permeates the atmosphere of my work. The characters in the work often look befuddled and have a mystified demeanor that suggests humor. Though I’m not trying to be funny I am always pushing things to explore what happens when situations don’t go as planned for the characters in my work. SG: What are the ways in which you manage social media? JC: I’m limited with social media.I mostly use Instagram but occasionally I will post work on Facebook and LinkedIn. IG seems to be the best fit for me at this point because of its immediacy and design structure. I normally find FB disappointing, tedious and plainly annoying so, I don’t go to or post work there often. I’m always considering deleting my Facebook account, especially in light of the political and data situation that has currently subsumed FB. LI seems better but I am not convinced it’s very good for artists yet so, I haven’t used it much either. JC: I’m continuing to work on freeing up my work allowing the imperfections to be a significant aspect. I usually put something down once and leave it allowing the “imperfections” as it were, to be a thing in itself. To that end, I’m using more drawing and mark-making in my painting and working more with pigment sticks and less with brushes. I feel I have the kind of control I like with the paint sticks that I don’t seem to have when using only brushes. SG: What are the essentials you must have in your studio/creative space (tools, objects, photos, etc)? JC: My studio. Without a workspace, I would have a hard time trying to make art. You can always find something to make art with but for me, it’s the space that provides the medium or quite space through which I can play with ideas without interference from the outside world. SG: What is your biggest challenge as a contemporary artist? JC: Getting the work shown while making enough money to keep it all going and still have the time and emotional energy to manage an art career. Sometimes I think the stress of it all is just not worth it and I should just enjoy life and not work so hard. But I just can’t stop making art so, maybe the biggest challenge for me currently is to keep being strong and keep making art no matter what because I really don’t have a choice! 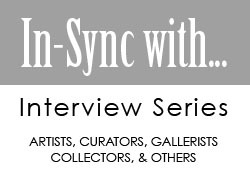 SG: How has the Art NXT Level Program help you as an artist? JC: Sergio has greatly helped me toward bringing my career presence up to speed. Sergio and Dr. Yanina are very supportive, compassionate people who want artists to be successful in their career endeavors. This means a lot to me because one, I feel there are many so-called art couches or advisors out there who seem more focused on getting paid rather than helping artists succeed. Second, and more importantly, this career choice of being an artist is a tough path and having supportive, and knowledgeable allies in your corner are so important for an artist not to feel lost, insignificant or isolated. Unfortunately, I haven’t been reading much as like because of my limited time but I did just begin to reread The War of Art by Steven Pressfield. It’s always great for me to reread things again because I get new insights the next time around. There are many artists I get inspiration from both contemporary and older yet I always find myself coming back to Philip Guston’s later work, characterized by his cartoonish style of people and situations. I love the pathos in his work. I’m also very inspired by the immediacy, lack of pretense, and forthright quality of kid’s art combined with their typical use of primary and limited color. There’s a self-assurance that always comes through in children’s art, I admire this. Well, one sentence isn’t enough room but let’s say one piece of advice. So, if I were to give one piece of advice to an art student it would be to think about your future; the life you want to be living 10, 20, 30 years from now. 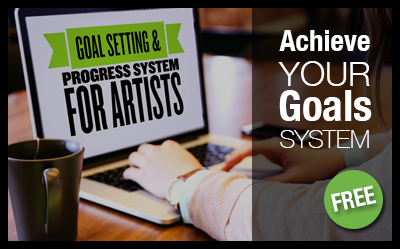 Think about how to create a complementary path to your art career that will pull you through the scant financial times you will inevitably face during your career. Don’t fall for the magical thinking that things will just workout! Rather, reflect on your interests, try to create an alternative path that will both feed your work and creative process while providing you money and not detracting or limiting you from your work. Teaching is the typical path but there are others. It’s about learning to trust yourself first and foremost. And yes it’s hard but if you are driven to make things then you will find a way.